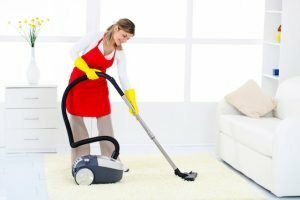 Nationwide Cleaners is an established franchise network that provides professional domestic and commercial cleaning services in London and across the UK. They have a number of existing, successful franchises, including Berkshire, Bromley, Brent, Cheshire, Croydon, Edinburgh, Hampshire, Harrow, Hertfordshire, Kent, London, Oxfordshire, Surrey and Sussex. Nationwide Cleaners represents a unique opportunity to run a management franchise with low overheads in an established industry, utilising a tried-and-tested business model that has been in existence since the 1980s. Franchisees are home-based and cleaners are self-employed and paid directly by the clients, so there’s no need to get involved with their PAYE or National Insurance. All cleaners are vetted and fully insured and clients are guaranteed an alternative cleaner to cover sickness and holidays. As well as being endorsed by the AFA, Nationwide Cleaners also won Best Cleaning Franchise at the Business Excellence Awards in 2016, further proving that it’s a viable investment. Whilst Nationwide Cleaners is admittedly similar to various other cleaning franchises out there, one of the main advantages is the low price. Whereas some cleaning franchises require an investment of £12,000 or more, you could own a Nationwide Cleaning franchise for only £7,999 including VAT, making it highly affordable. For this price, you receive all the support you would expect for a much larger investment and the use of a fully-functioning business system. Nationwide Cleaners can arrange financing for your investment and even offers a unique, money back guarantee*, so it represents an extremely low-risk opportunity. You can choose to work full or part time and, of course, you work from home as your own boss, so you can easily achieve a healthy work/life balance. For more information, why not call founder Peter Munro on 07986 600316 or you can visit http://www.nationwidecleaners.co.uk/franchising to find out more.